Free Shipping. P.W. Minor Shoe, Erika Strap is a premium orthopedic shoe with a velcro closure. The Women's Shoe, Erika is part of P.W. Minor's Xtra Depth collection allowing added depth for custom orthotics. It has a pillow back with foam-padded collar for added comfort. This shoes encompasses an anti-fungal, anti-bacterial brushed knit forepart lining which wicks away moisture to protect your feet. It's long inside counter and modifiable polyurethane outsole provides added stability. Many doctors agree, there is no end to the ways a Xtra Depth shoe can be adapted to give your feet maximum fit, support, relief, comfort, and still be good looking and fashionable. Brought to you by P.W. 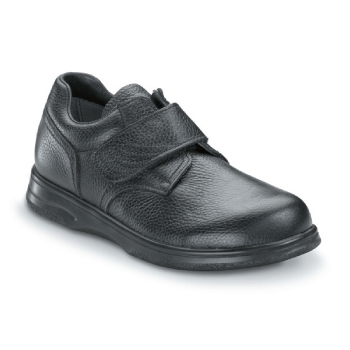 Minor, the leader in quality orthopedic footwear for over 125 years. Limited availability, may take 4-5 weeks to ship out.